Examine the continuum of care and support options available to Texans in need of long-term care. The Committee shall evaluate the effectiveness of state regulatory efforts to ensure quality services as well as analyze the long-term care business climate. The Committee, working in cooperation with the Senate Finance Committee, shall analyze the current state funding method for Medicaid long-term care and develop alternatives that both ensure quality service and control costs to the state. The Committee shall also develop recommendations to ensure individual and family choice in long-term care decisions and encourage more private sector and community involvement in the delivery of long-term care. Evaluate services provided to hardest-to-serve adult welfare recipients and services provided to children receiving welfare. The Committee shall assess the state's ability to avoid long-term dependency on welfare for both of these populations and develop additional strategies to encourage self-sufficiency and movement from welfare to work. Monitor federal developments related to long-term care and welfare issues. In the event that significant developments occur, the Committee shall evaluate their impact on Texas. 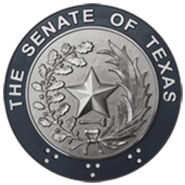 Monitor the implementation of the following bills enacted during the 76th Legislature, Regular Session: SB 30 relating to parental notification before an abortion may be performed on certain minors; SB 374 relating to the provision of certain long-term care services, to the continuation and functions of the Texas Department on Aging, and to the eventual consolidation of the Texas Department of Human Services and the Texas Department on Aging into a new agency on aging and disability services; and HB 2641 relating to the continuation and functions of the Health and Human Services Commission. The Committee shall also monitor the effects of the additional resources provided to the Texas Department of Protective and Regulatory Services.